At Brannick Clinic of Natural Medicine, we ask our patients many questions about their bowel movements, because it gives us valuable information about their digestive system. The color of the stool? If it is formed, loose or in balls? Have bowel patterns recently changed? Do you have gas or bloating? Do you experience fatigue after eating? Frequency of bowel movements, etc.? All of this information is important, so we may treat the cause of digestive problems. I’m going discuss something that may be a little uncomfortable—stool and bowel movements. As our patients know, we ask many questions during our visits related to various aspects of your bowel movement. This is because it gives us an enormous amount of information concerning digestion. Many disciplines of medicine believe most illness and dysfunction begin with poor digestion. If you can not break down food correctly, nutrition can not be absorbed and the body becomes weak and susceptible to damage. When food is not broken down correctly, larger pieces of food travel through the intestines and irritate the lining, resulting in inflammation. Intestinal inflammation further results in poor absorption of nutrients. Typically, patients are diagnosed with labels such as IBS (irritable bowel syndrome), diverticulosis or diverticulitis, colitis etc. Common symptoms of poor digestion are gas, bloating, constipation, loose stools, heartburn, reflux, stomach pain or discomfort—especially after eating. Some patients report fatigue after eating. Constipation is a problem for many people. It has much to do with a poor diet of fast food, processed foods, high sugar intake, low-fiber intake, lack of water and use of carbonated beverages—no surprise here. At our office, we frequently work with our patients to help them make changes to their diet. In many cases, this alone is not enough to correct the constipation. If someone is impacted or is constipated, we need to empty the intestines, to get things moving. This helps to restore function. 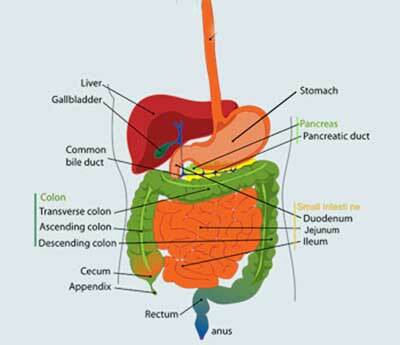 A colonic can speed recovery of constipation, while we work on improving digestion and diet. In my opinion, colonics alone will not improve constipation. We still have to treat the cause of constipation, which is usually poor digestion, a poor diet and dehydration. Using laxatives create dependency and do not treat the cause of constipation. It is very uncomfortable to be constipated. We should have a bowel movement a minimum of once daily and ideally after ever meal. Creating dependency on laxatives results in a more severe problem down the line. As we age, things become slower and constipation worsens. Therefore, I recommend our patients to pay attention to their digestion and bowel movements. If there is a problem it is better to address it sooner, rather than later. It is good practice to monitor your stools—a quick glance can provide you and your doctor with valuable information. Our next newsletter will give you details on colonics or colon irrigation.